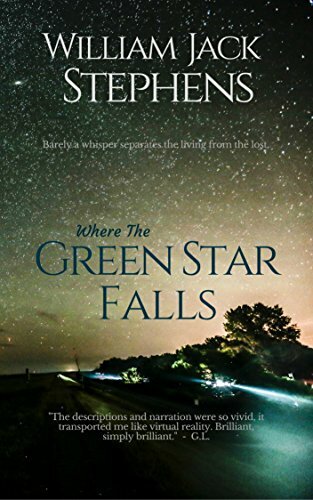 Barely a Whisper Separates the Living from the Lost.Where The Green Star Falls is a visceral tale of survival with the soul of a love story. A gripping and inspirational novel about fate, destiny, and a love so profound it will drive a man to the edge of sanity or salvation. From the Parisian mecca of South America, Buenos Aires, you’ll be transported to the mysterious river-lands of Argentina amid the towering Andes Mountains and emerald green waters, where Nicholas will meet his fate head on. He must become the man he was born to be.A-list author, William Jack Stephens has lived in the Andes Mountains of Argentina for over a decade, and he tells this spiritually supercharged love story with the most vivid descriptions ever written of Argentina. The stunning landscapes, passionate people and rich culture come alive on the pages. By the end of the book, you’ll feel like you’ve been there!The characters are so richly and humanly painted they draw you into the story with them, and won’t let you go. You won’t want to put this book down. Where The Green Star Falls will remind you of why you fell in love with reading. Click the Buy button now.